In Conversation: Where Did Solange’s When I Get Home Come From? We sat down the two biggest Solange fans we have on the Sauce to have a conversation about her latest wave-making album When I Get Home. 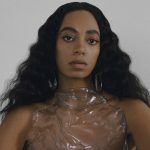 What follows is a conversation about the influences that helped craft Solange's sound, the cultural roots of the album, and how her career has been building toward this project for years. Nigel (@Tribecalledni) Yo, Edward. What are … [Read more...] about In Conversation: Where Did Solange’s When I Get Home Come From?